Pink Lady® PLBARB1 cv. (Also known as Barnsby cv.) is a sport of Cripps Pink cv. that ripens 3-4 weeks earlier than its parent variety. While retaining the same sweet / tart flavor as Cripps Pink cv., the acidity levels in Pink Lady® PLBARB1 cv. 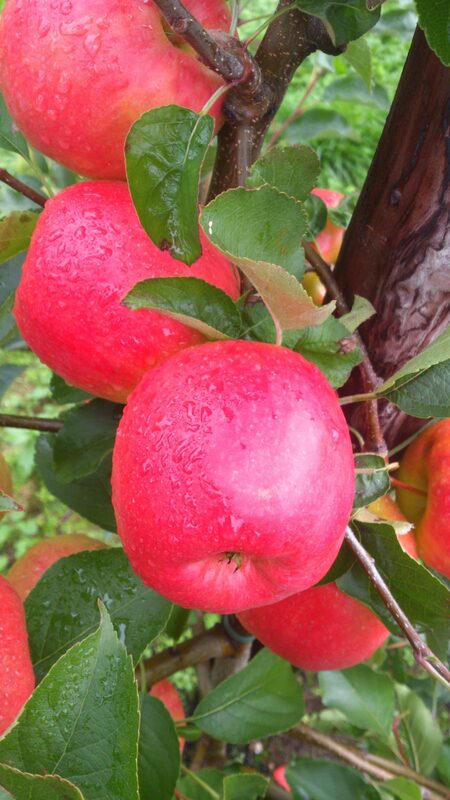 are much less at the time of harvest allowing for the apples to be eaten directly off of the tree. PLBARB1 cv. must be sold under the Pink Lady® brand name.